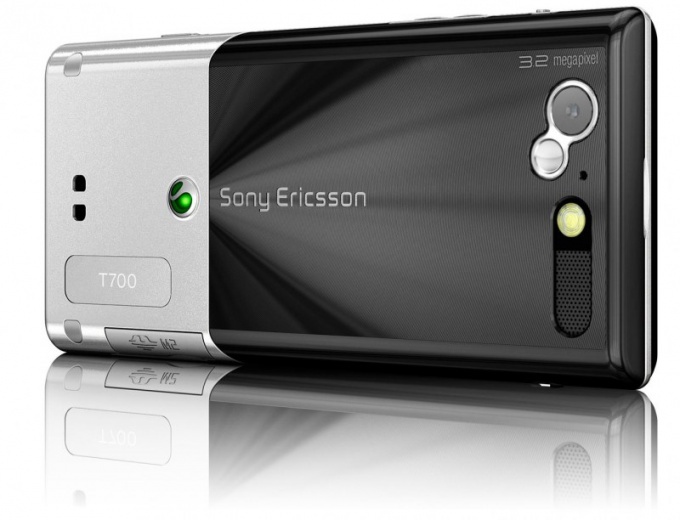 When using the cell phone sony ericsson t700, you may encounter three types of lock: lock SIM card, the phone itself and the network. In each case, there are a number of actions that should be undertaken. The lock operator is the impossibility of using the phone network different from that under which it is locked. It is designed to keep subscribers of the operator with which it has contracted. When you turn the phone with SIM-card of another operator is prompted for the password, without which the introduction of the use of the phone impossible. To unlock this type you need to request the unlock code from the operator that locked the phone. Provide the IMEI number of the phone, and your data, which prompted the representative of the company, after which enter the code. Phone lock is designed to preserve the security of personal data of the owner in case of theft or loss of the device. In this case, you can use the code reset code or reset the firmware. Code reset will return all settings to the factory default settings, but leave all personal information is inviolable, while the code reset the firmware back to factory condition, erasing all your personal files. Go to the official website of the manufacturer phone number listed in the instructions, then locate it contact mission. Contact him by providing the IMEI number of the phone, then use the code. When you lock the SIM card is locked, only the SIM card. It stores security personal number of a subscriber and the personal data stored in the memory of the SIM card. Pin block these data can be entered incorrectly only three times, after which you need to enter special Pak code. Both of these code indicated on the packaging from the SIM card. Enter the Pak code and unlock the SIM card, otherwise you will need to contact the mobile operator to which you are connected. Provide passport details used during registration to request a new SIM card instead of blocked.